Help With Marketing, SEO, and Writing — Helping you get found, get liked, and get more business online. Here’s an amazing thing: Despite the fact that our economy is business-based, sales and marketing work is often considered less than respectable. The reason, of course, is that sales and marketing practices are too-often aimed at hype and deception. Consequently, business owners and staff sometimes balk at the idea of beating their own drum. They want to sell their goods (that’s where the paycheck comes from), but they don’t want to be seen as salespersons. Part of my job is helping businesses identify why someone would want to buy their products or services, then to translate those unique selling points into written, visual, and audible content both the staff and prospective customers clearly understand. Once everyone concerned gets the picture straight, prospects and customers are amazed at the difference. Selling doesn’t seem so shady when the focus is on serving instead of on selling. The job of a business is to solve problems for people. That’s why effective sales strategies begin with identifying the problems your products and services will fix. During 2009-2010, I helped a Small Business Development Center (SBDC) work towards vitalizing a business incubator in Utah’s Navajo Territory. I loved the work and the people. I wrote more about that experience here: Is This One Fatal Mistake Killing Your Business? That experience helped me combine several simple, yet powerful, concepts into one program aimed at getting would-be entrepreneurs to move from the idea stage to the business start-up phase. 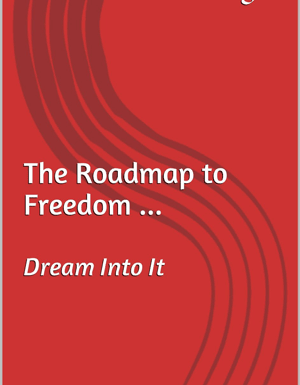 I called it “The Dream Into It Program” or “The DIIP (pronounced “The Deep”). I’ve taught the DIIP to audiences ranging from county jail inmates to corporate in-house teams. You can find out more about that program here: DIIP 2016. After working with the DIIP (a time/life management system that gets results), it became apparent that the framework could be adapted to help businesses develop a marketing system. DIIP Marketing can not only help you get more business, it can help you better define your business and align it to your goals and dreams.